Producers of Ogogoro under the umbrella of Raw Gin Producers Association of Nigeria, RGPAN, has urged the federal government not to ban the local gin popularly called Ogogoro based on recent casualty recorded from its consumption in some states of the country. 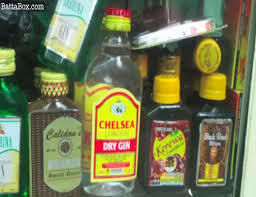 The Chairman of the association, Mr. Aritson Kroboakpo said in Lagos yesterday that native gin, whose production and consumption in Nigeria pre-dates independence and is not injurious to health, unless when adulterated. Faking of products, the Association also noted, is not only peculiar to local gin, even as the group promised to work with government to ensure that quacks in the local gin production are eliminated. The Association is reacting to the call for the ban of ogogoro by the government following the unfortunate incident that happened in Ondo State, where it was reported that some okada-riders collapsed after drinking ogogoro in a popular relaxation spot, and the most recent incident that occurred in Rivers State.